Create magical mischief with Unicorn Surprise! 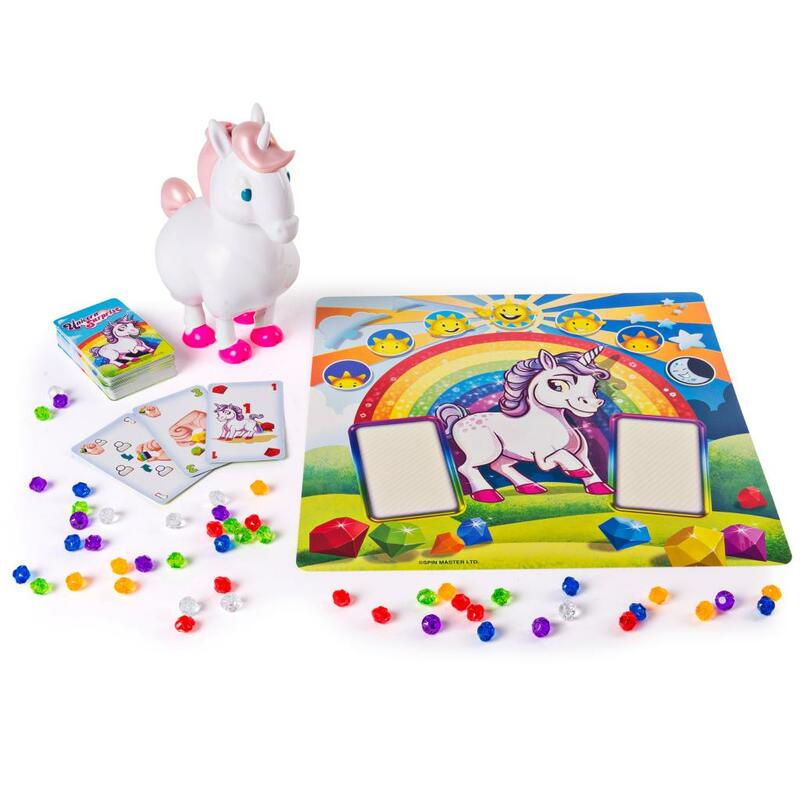 In this whimsical game, players are transformed into pixies on the hunt for colorful unicorn gems. 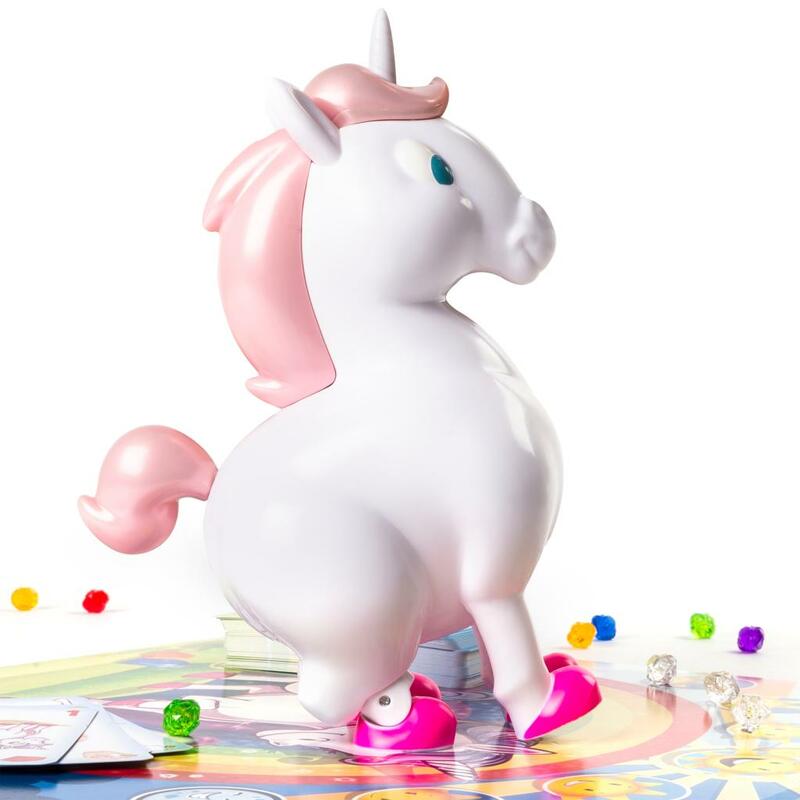 The only problem – unicorns drop their Gems but once a year! 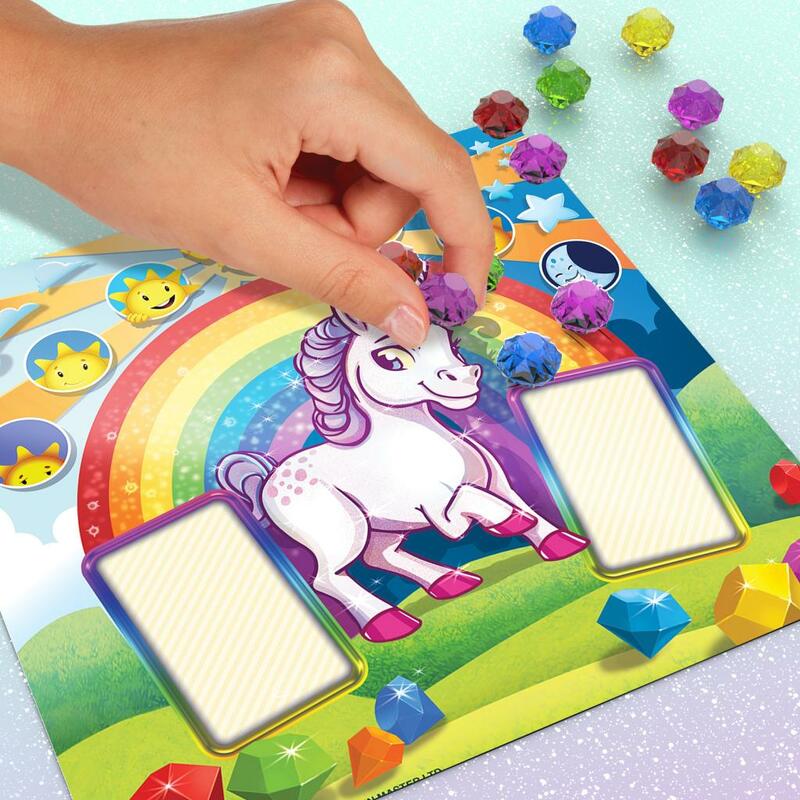 Race against other cheeky pixie players to collect the most gems before the smiling sun sets. 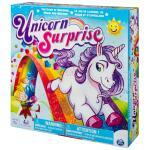 Unicorn Surprise combines board game suspense with a silly unicorn figure that pixie players can interact with. 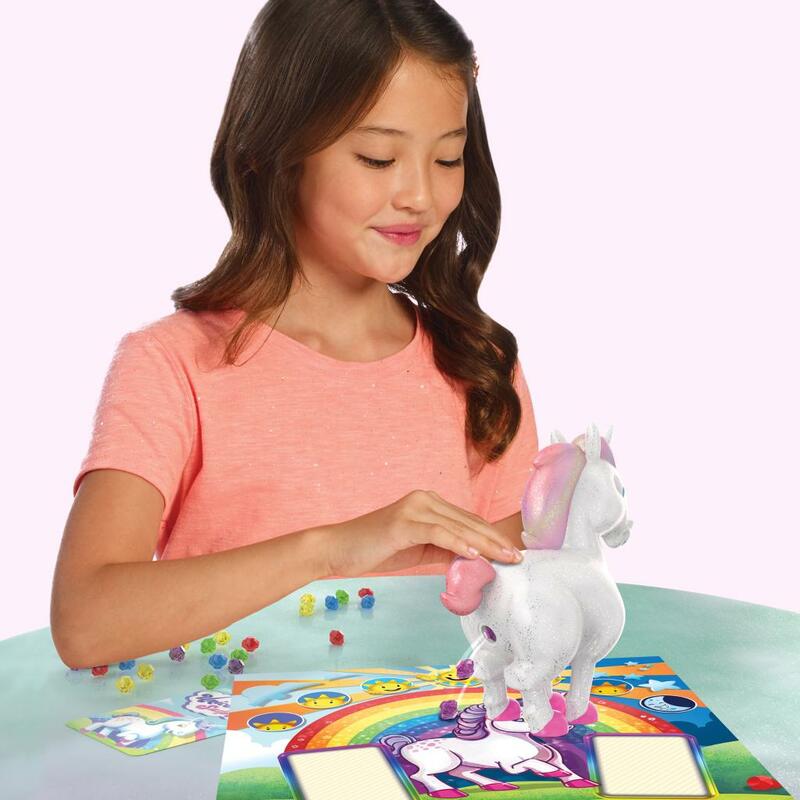 Will she drop a colored gem or a clear one signifying the end of the day? 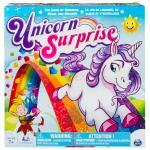 Find out when you play Unicorn Surprise! 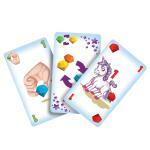 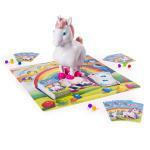 Play the game of magic, mischief and mythical creatures with Unicorn surprise! In this board game for kids, players compete to collect as many Unicorn gems as possible before the smiling sun sets. 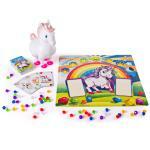 Unicorn Surprise comes with a colourful game board and magical Unicorn! 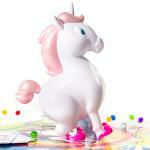 Push down on the Unicorn’s rear to see if she will drop magical gems! Use the included deck of cards to swap gems, interact with the Unicorn and get up to all kinds of mischief! 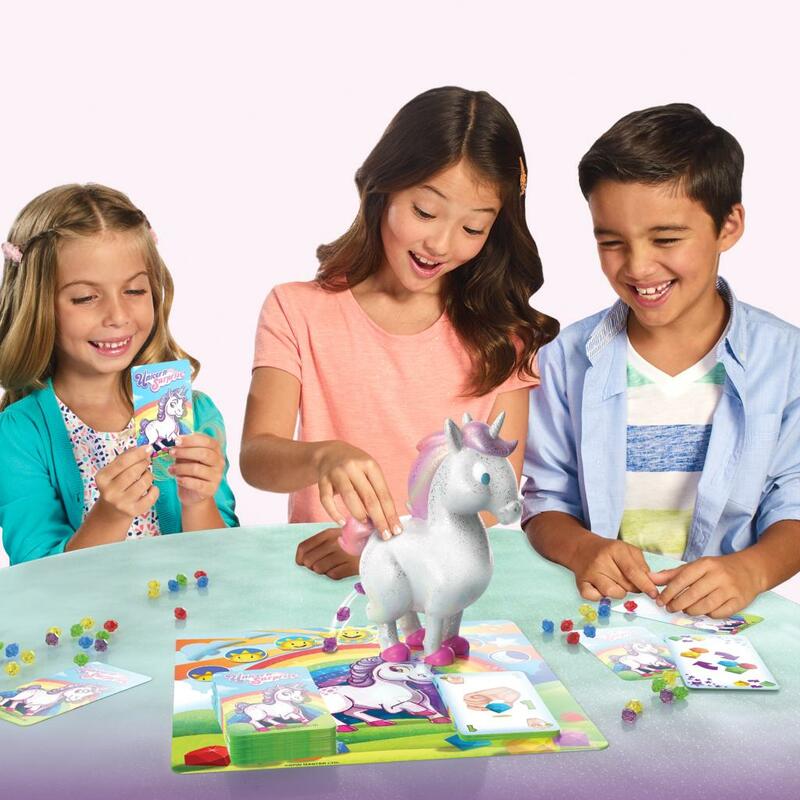 Unicorn Surprise is for 2-4 players aged 7+. 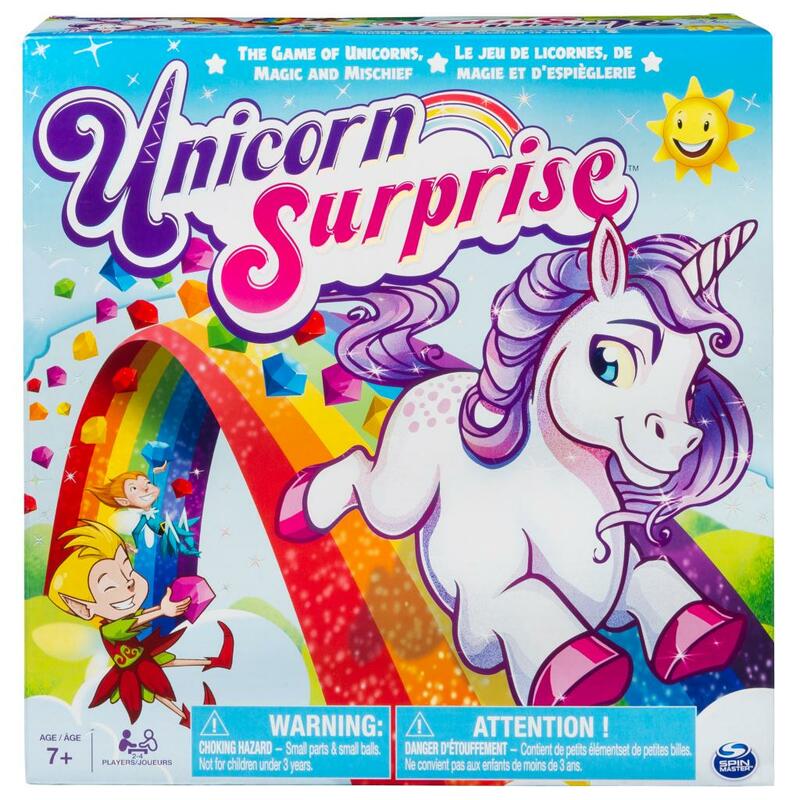 Includes small parts.